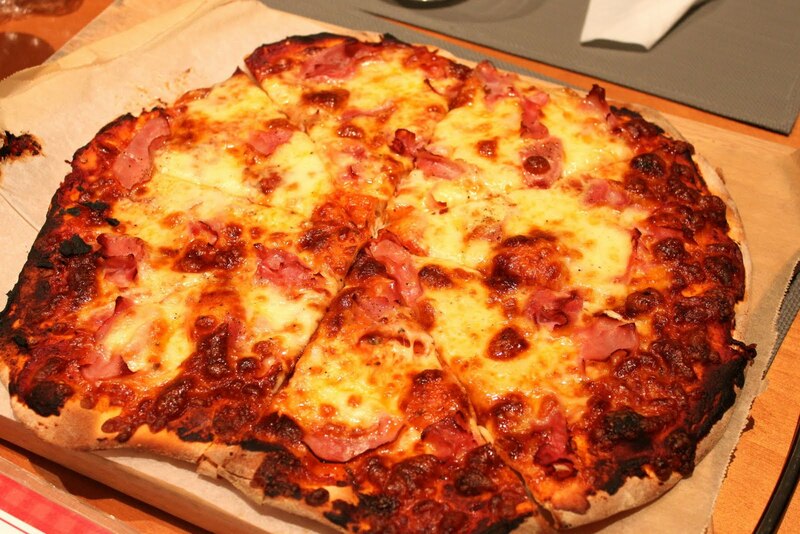 It's easy to make our own pizzas at home. I usually make the dough in the breadmaker, put everything into the pan and an hour and half later, the dough is ready to be rolled. We prefer the thin pizza bases. My two girls like simple toppings - ham, bocconcini and mozzarella cheese. Tonight, Chris and I had pizza topped with sun-dried tomatoes, prawns, homemade basil pesto and bocconcini cheese. 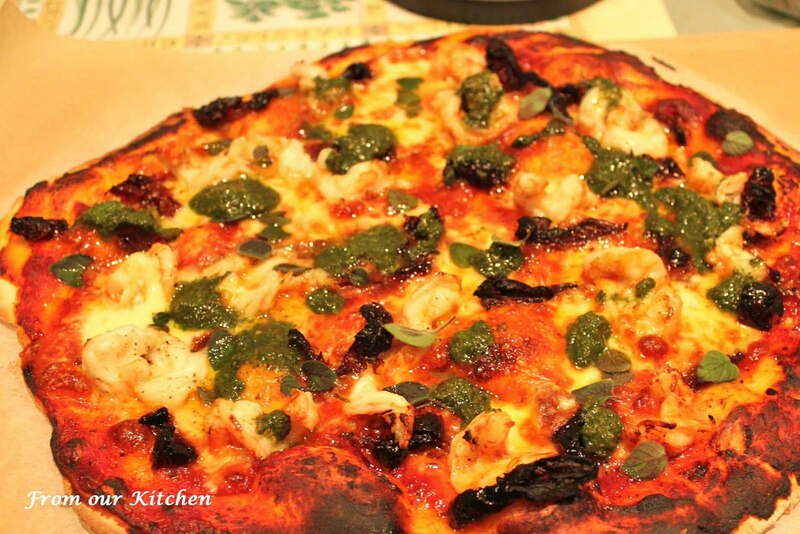 I love gourment pizzas - favourite toppings, large prawns, seafood and spinach!!! and jalepenos!!! 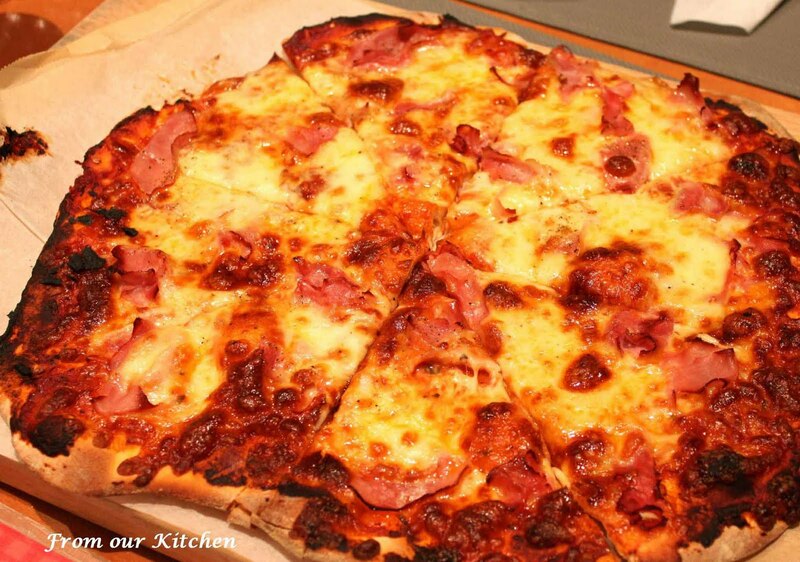 speaking of which, we're due for home made pizzas this weekend. can't wait! Jalapenos... must remember for next time. I love jalapenos too. Must be the Msian in us... cannot do without some spicy burning sensation. You must upload photos of your home made pizzas.